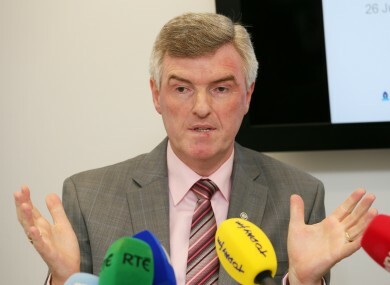 Ervia chief executive also defends amount the water utility spent on consultants and Irish Water would save €25m a year if it stopped billing customers, an Oireachtas committee has been told. Irish Water would save €25 million a year if it stopped billing customers, an Oireachtas committee has been told. The Oireachtas committee is examining the future of water charges. It was established last year to consider a report on the charges by an expert commission. The report proposed that water services be funded by general taxation, rather than by a separate charge, and each household be given an average water allowance, to be determined by the Commission for Energy Regulation (CER) – Ireland’s water regulator. 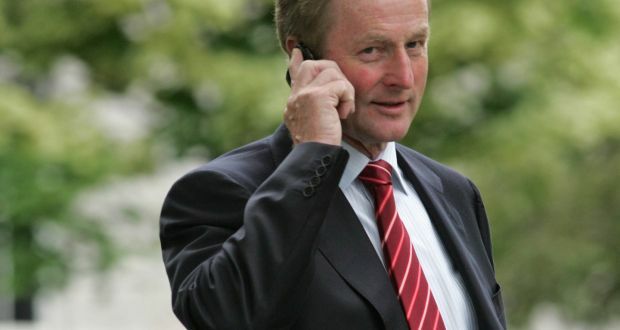 On Thursday, Irish Water told TDs and Senators on the committee that the annual cost of billing customers for water charges is €25 million, which includes €13 million for processing bills, €10 million for the contact centre and €2 million in staff costs. Meanwhile, Michael McNicholas, the chief executive of Ervia, which runs Irish Water, defended the amount the utility spent on consultants, insisting the consultants were “international experts”. Mr McNicholas said the €73 million spent on consultants was not wasted and was necessary to establish Irish Water. He said the experts were tasked with building the software and computer systems needed to establish a national water services company. He said the cost of hiring the experts was “really efficient”. On Wednesday, the CER told the committee that Irish Water should stop installing water meters in existing homes. It warned that the cost of completion would cripple efforts to improve water quality and supply. In a submission to the committee, the CER said finishing the programme was not a priority. “If a decision was taken to complete further metering, then either significant additional funding would have to be made available or a significant level of necessary capital expenditure would have to be deferred from other priorities for water investment for the time period 2017-2018,” the CER said. The CER also proposed that householders be given the option of installing a meter. The meter would then entitle them to a tax rebate, if they used less water than average. It also said grants should be given to people who invest in water-saving measures and that the installation of water meters in new houses and estates should be mandatory. In a separate submission on Wednesday, Irish Water said €13 billion must be invested in Ireland’s water and waste-water services to ensure safe drinking water and proper sewage treatment. It said it does not believe water services should be funded wholly or largely through the exchequer, since this would put investment in competition with public spending demands. It said guaranteed funding was needed. It confirmed it would need €714 million in funding this year, to include the annual €475 million subvention plus €239 million in replacement revenue, in lieu of its previous income from domestic billing. James McAvoy has revealed that his life has “changed massively” following his split from wife Anne-Marie Duff. The acting couple, who met on the set of the Channel 4 show Shameless in 2004, announced that they were parting ways after ten years of marriage last May. They broke the news in a statement and asked for privacy for their six-year-old son Brendan. McAvoy has now commented on the changes in his life over the past 12 months, which include moving into his own place near the family home in north London. “My life has changed massively”, he told Mr Porter magazine: “At the same time, so much has stayed the same. “One of the things that’s stayed the same is that I still don’t talk about my personal life, really. Me and Anne-Marie, when we were together, it was our policy not to speak about each other in public. We rarely broke that and if we did, it was for tiny things – ‘Yes, we are cooking turkey for Christmas’ and that policy still stands. “Which is a rubbish, pat answer”, he added jokingly. The X-Men star, who plays Charles Xavier/Professor X in the superhero franchise, also said he gave up drinking whiskey because it made him aggressive. “That used to be my drink – a peaty Talisker, or a Laphroaig,” he said. “But I find that I can’t drink too much whisky any more. More than one or two now and I get a bit leery, a wee bit fighty, a bit chippy, looking for an argument. And I didn’t like that. So I mostly stopped drinking it. My problem is, if I have it in the house, I’ll tan the lot. McAvoy can next be seen on the big screen in Split, Submergence and The Coldest City this year. 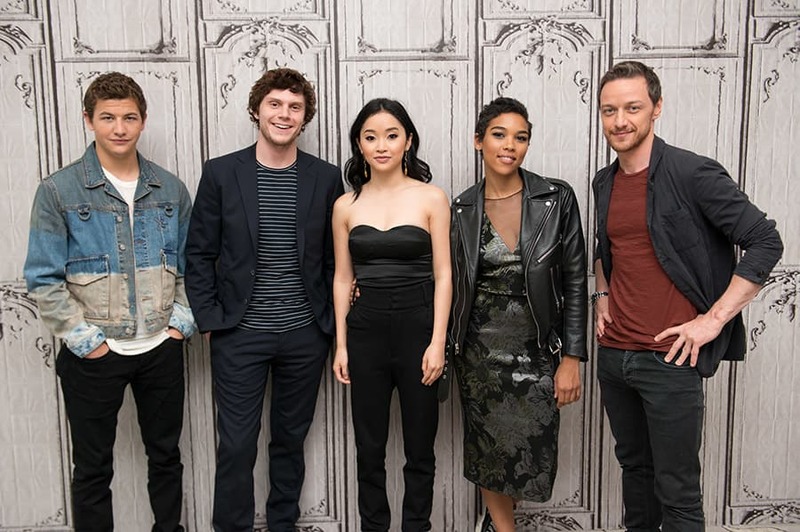 The Scottish actor said he is unsure if he will appear in a new X-Men installment, as neither he nor his co-stars, Michael Fassbender and Jennifer Lawrence, are contracted for a new film. “They certainly haven’t asked me to do another yet,” he said. “I know they’re writing another [original] X-Men movie. Whether they’re gonna make it or not, I don’t know. And I know they’re looking at doing some spin-offs as well, that I may or may not be involved in. The actor’s new thriller, Split, directed by M. Night Shyamalan goes on release in Ireland next week. Students at the 2017 BT Young Scientist and Technology Exhibition seek to reduce waste, save energy, bring alternative energy sources to market and close the STEM gender gap. Left-handed people have a chance to shine at the RDS Primary Science Fair, thanks to a research project on whether, with training, someone can become ambidextrous. The project, from Ballapousta National School, Drogheda, Co Louth, was one of dozens of primary school entries to the fair, which opened on Thursday morning and will run until Saturday afternoon. The fair is a non-competitive event that aims to promote science, technology, engineering and maths projects undertaken by primary school pupils. On Thursday, Minister for Education Richard Bruton visited the fair, chatting with the excited fourth-, fifth- and sixth-class pupils as they described their discoveries. The research projects covered a multitude of subjects, from finding what liquids make your hands go wrinkly to testing what kind of cup keeps a teacher’s coffee warm for the longest period. “We wanted to find out if we could train our non-dominant hand to be as good as our dominant hand,” he explained, alongside his teacher, Louise McGivern. 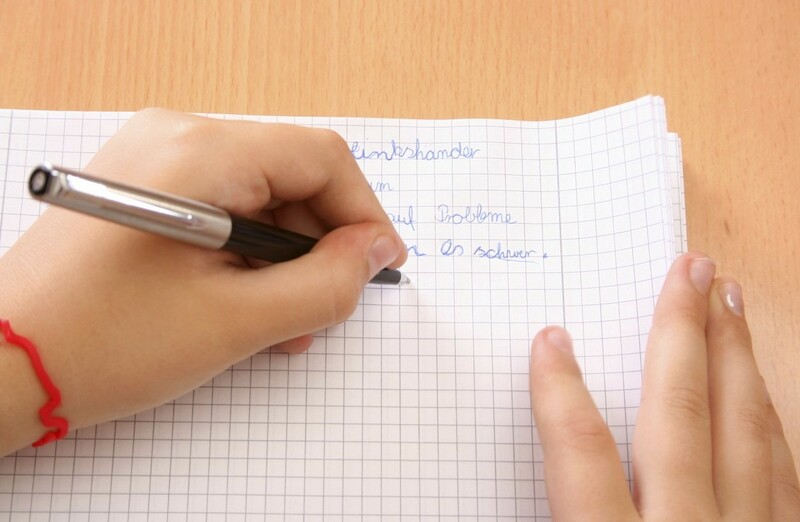 The class worked on the project for two months and discovered a number of things, including that left-handed people could train their right hands more quickly than a right-hander could train their left hand. Girls were also quicker than boys at picking up skills such as cutting with a scissors and catching a ball. The class put their data into graphs for the fair. They are also offering visitors a chance to test their ambidextrousness. The project turned out badly for the eggs, but they were hard-boiled before being tossed off a staircase to test the parachutes so there was very little mess. The group’s teacher is Claire Thompson. “We used different kinds of parachutes,” Daniella explained. The class tested square-, round- and octagon-shaped parachutes made of light-weight dishcloths, paper, felt and a plastic bag. She said the class timed each test and assessed whether the egg passenger had survived the fall. They found that the best results were with the dishcloth parachute, despite its tiny holes. Their teachers are Bobby Kenny and Emma Hore. “We started with a game that we got from a book with five maths questions and five direction questions,” Danny explained. The project then shifted towards trying to understand how the human brain worked and then by extension whether the class could use the brain to develop a lie detector that could catch a fib. In the end, the class managed to produce a lie detector using a Hot Wires electronics kit. Mr Bruton praised the hard work of the pupils, and said they were learning skills that would be important in their future, technological lives. He noted the fair involved about 7,500 pupils overall and said that he would like to see that number growing every year. 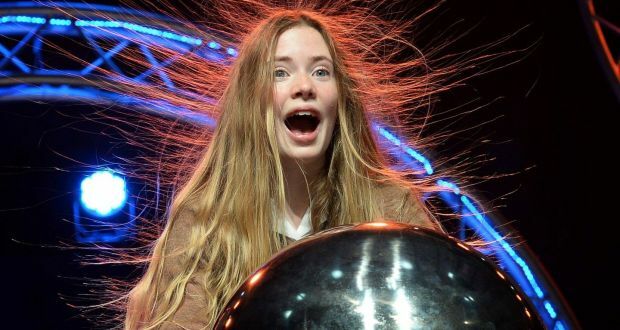 The RDS has run the fair along side the BT Young Scientist and Technology Exhibition for some years, but last year expanded its primary science programme to include a separate event in Limerick. This year’s Limerick fair will take place next week. On Thursday, it announced a third location for its primary science programme, in Belfast. The first Belfast fair will take place this June, said Karen Sheeran, the science and technology programme manager for the RDS. “There is a huge appetite for it and we are trying to increase access and capacity,” she said. Mayor of Sligo Municipal District, Cllr Marie Casserly pictured with Commissioner Draghi. Mayor of Sligo Municipal District, Cllr Marie Casserly, says 2017 will be a significant one for Sligo, as it holds the title of European Volunteering Capital. In her New Year message, the Mayor said: “2017 will be a big year for Sligo as we continue to punch above our weight taking on the title as European Volunteering Capital. Thank you to the army of different types of volunteers who care for our community and those that need their help. I have been astonished and delighted to see that there is a huge amount of good work taking place across County Sligo.” She said having this title is a major thing for Sligo. The Mayor said it’s important Sligo embraces the year ahead. “Sligo like many progressive regions is going to be affected by Brexit, no one knows yet what will a Hard or Soft Brexit mean. “What is of direct concern to Sligo is to be aware now of the potential scale of difficulty and scale of opportunity that will affect our economy. We must in the meantime act on the basis of greatest difficulty and opportunity at our doorstep. We have an over dependence on markets in the UK and we must engage more with Europe and in it’s Internal Market of 500 million consumers. All the benefits from UK relocating firms should not accrue to Dublin. 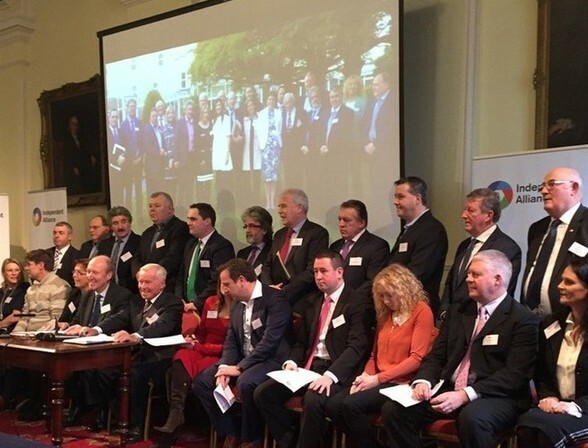 Being European Capital of Volunteering is the rally call for our Sligo Volunteers and our Sligo Diaspora to reach out to investors and start -up companies in the UK to help us grow our creative commercial base, and to contribute to job creation and in turn strengthening purchasing power in our county. The events that I have attended and been involved with since becoming Mayor of Sligo have been varied and diverse but without exception, each one has involved people who want to improve the area they live in, either economically or socially. “To all those who, in Sligo, through their business, their action or work, have developed projects which contribute to the economic and social life of our country, I hope that their efforts thrive in this achievement. Our county will be a place to be proud of which is more prosperous, vibrant, healthy, sustainable and where people enjoy a better quality of life. I look forward this year as we continue to make the region a better place to live, work, visit and invest. Together we can do it! Most importantly I would like to thank everyone for your continued support and for those who support the local economy through choosing local produce in the supermarkets, butchers, local shops and when eating out. Sligo is a great county. I invite you to join me in anticipating what we will accomplish together in the year to come. Technique called optogenetics used to pinpoint and take control of brain circuits involved in predatory behaviour. It has all the trappings of a classic horror plot: a group of normally timid individuals are transformed by scientists into instinctive killers, programmed to pursue and sink their jaws into almost anything that crosses their path. However, this hair-raising scenario was recently played out in a study of laboratory mice, designed to uncover the brain circuits behind the predatory instinct. The research revealed that one set of neurons triggers the pursuit of prey, while another prompts the animal to clench its jaws and neck muscles to bite and kill. The study relied on the technique optogenetics, in which neurons can be artificially activated using light, effectively allowing scientists to switch the killer instinct on and off at will. When the laser was off in the experiment, the animals behaved normally, but at the flick of a switch they assumed qualities of “walkers” from The Walking Dead. In the study, the mice were seen to pursue almost anything in their path, including insects, robot insects and even inanimate objects such as bottle caps and wooden sticks. In the study, published in the journal Cell, the scientists used a technique called optogenetics to pinpoint and eventually take control of the neuronal circuits involved in predation. The mice were genetically engineered so that specific groups of neurons were light-sensitive, meaning that these could be switched on and off by shining a laser into the mouse brain. The scientists identified two separate clusters of neurons in the central amygdala, a brain area normally linked to emotion and motivation. These were shown to be communicating with other neurons in two motor areas – in one case, a region linked to the ability to run and change speed and, in the other, a region known to control jaw and neck movements. 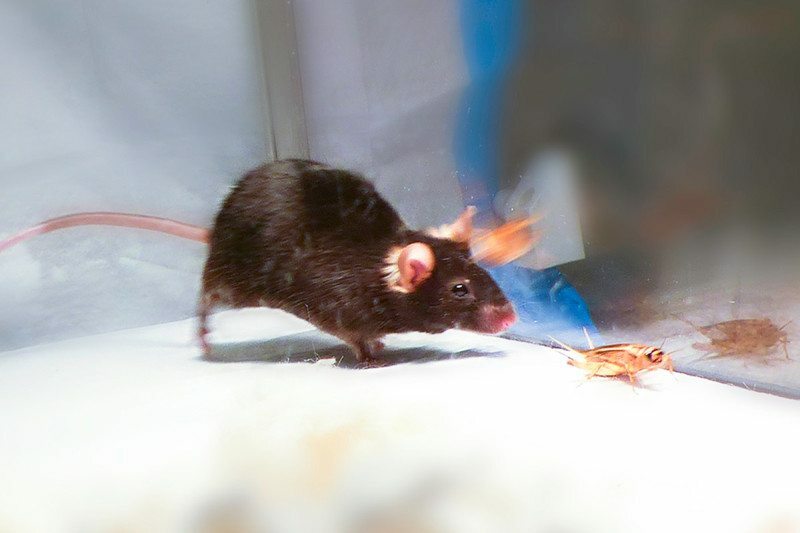 In real life sensory cues, such as a small animal scurrying across the predator’s field of view, would trigger activity in the amygdala setting off this “chase and kill” neuronal chain of command, the scientists said. Rodent recall: false but happy memories implanted in sleeping mice. In the experiment, they were able to bypass the usual sensory requirements and could trigger the predation circuits artificially using lasers. They found that the two clusters operated independently: if they only activated the “hunting” neurons, the animals would chase the prey, but the biting force of the jaw was decreased by 50%. “They fail to deliver the killing bite,” said De Araujo. When they only activated the “biting” neurons, mice in empty cages would display “fictive feeding” behaviours, raising their paws as though they were chomping on something. The same circuits are thought to be closely conserved in the human brain, although De Araujo said that the circuitry is more likely to be associated with our drive to find food, rather than with anger or the instinct to attack. Professor Candy Rowe, a zoologist at the University of Newcastle, said that the research provided a valuable insight into predation, although said it was unsurprising that mice have effective predation circuitry in the brain. “Mice are often represented as prey – take Tom and Jerry as an example – but in fact they are predators themselves, particularly of invertebrates. At this time of year, that might include worms or hibernating butterflies,” she said. Rowe added that in future, scientists hope to gain a better understanding of what sensory information triggers pursuit and capture behaviours, and how prey might evolve strategies to evade this. 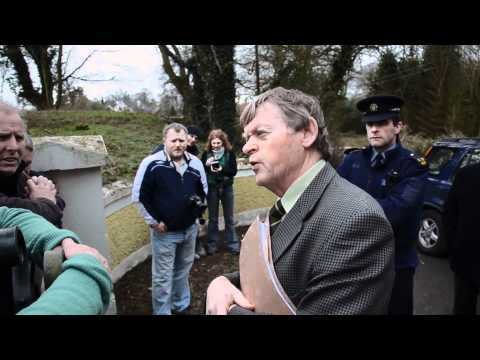 Members of a well-known Cork political family were among the 126 repossession cases heard before the Limerick County Registrar’s Court yesterday. Former Fianna Fáil TD Noel O’Flynn and his sons Gary and Kenneth O’Flynn have a total mortgage debt of almost €117,000 on a buy-to- let property in Limerick, the court heard. Mr O’Flynn was a TD for the Cork North Central constituency from 1997 until 2011. Gary O’Flynn, a former Cork city councillor, was jailed last month for three years for soliciting someone to kill a garda, a Revenue official and an accountant. Kenneth O’Flynn was co-opted on toCork City Council in December 2008, and is the current deputy Lord Mayor of Cork. 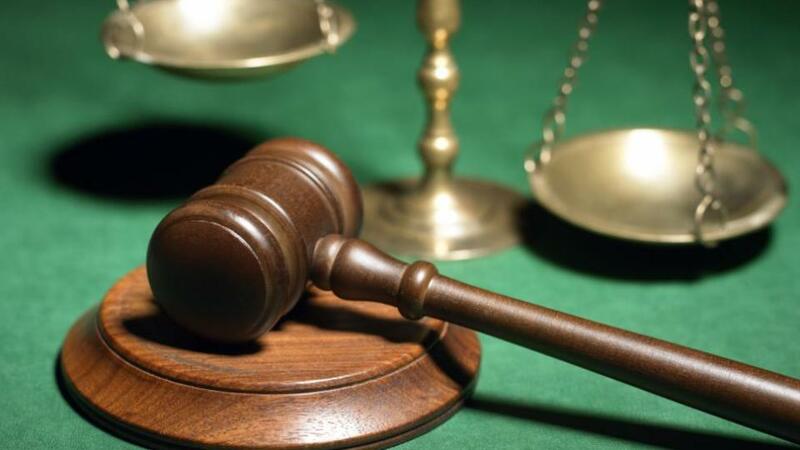 A solicitor representing Permanent TSB told Limerick County Registrar’s Court the initiation of proceedings had been halted because the bank had difficulty serving notice on the parties. She also claimed that “various games were being played” by the borrowers. Solicitor Conn Barry told the court the defendants were from a “well-known family in Cork”. Mr Barry, who was acting as agent for a Cork solicitors’ firm, said it was the first time the case had come before the court. County registrar Pat Wallace was told the last repayment on the buy-to-let property was in July 2013. No member of the O’Flynn family was present in court and the case was adjourned by consent until July 3rd. Eleven homes were repossessed at the sitting of the court, many of them primary residences. Among the orders granted by the registrar included a mother who told the court she could not meet the full amount of her monthly payments after separating from her husband. She said she was able to afford only half the mortgage and she had just returned to health from a three-month illness. The Lithuanian mother of one said she could not claim from her home insurance to repair dampness and mould that was causing her sickness because the insurance company required her ex-husband’s signature on documents. In excess of €191,000 was owing on the mortgage, with more than €60,000 in payments in arrears. Mr Wallace granted the repossession order but put a stay on the bank executing it for 12 months. 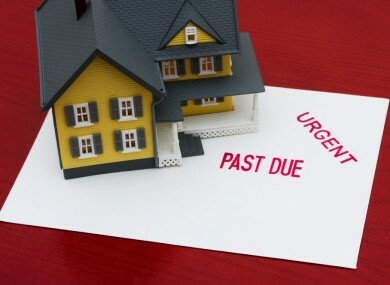 In two cases, orders for repossession were granted to Ulster Bank and Permanent TSB after the borrowers had failed to turn up for any court hearing or engage with their lenders. In one case, the borrower owed more than €301,000 and had not made a payment in 51 months. 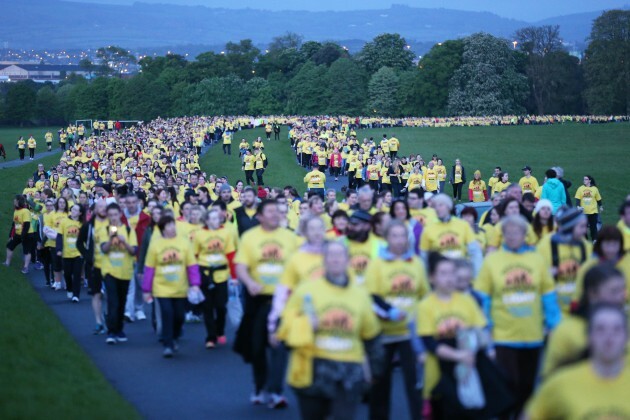 The 5km Darkness into Light walk/run, which kicked off at 4.15am on Saturday, was held at 80 locations in Ireland and around the world, and is believed to have attracted an estimated 100,000 participants. 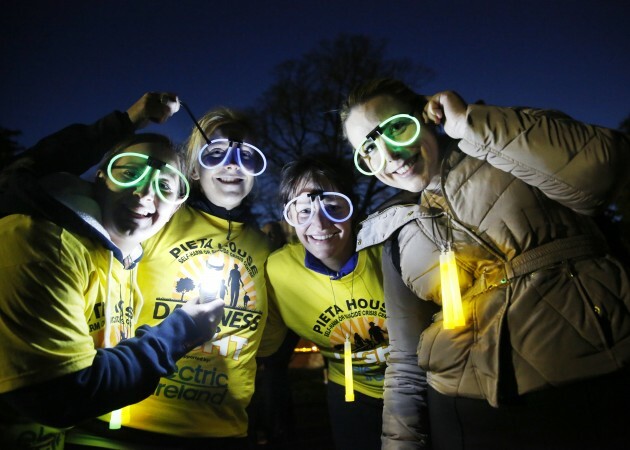 More than 12,000 early risers descended on Phoenix Park this morning to take part in the annual Pieta House Darkness into Light mental health awareness event. The 5km walk/run, which kicked off at 4.15am on Saturday, was held at 80 locations in Ireland and around the world, and is believed to have attracted an estimated 100,000 participants. The first Darkness into Light walk was held in 2009 with just 400 participants. “Pieta House’s intention has always been to save lives and to change the social fabric and the conversation around suicide and self-harm,” said Joan Freeman, founder of Pieta House, this morning in Phoenix Park. “It’s been nine years and we’ve come a long way towards reaching that goal. However, people are still afraid to face the reality that they may know someone who’s at risk of suicide or self-harm. From Wicklow to Washington, Chicago to Perth, friends, families, children and pets turned out to walk together for suicide prevention. An estimated 4,000 people walked in Melbourne and Perth, which were among the first cities to kick the morning off, followed by almost 1,500 people walking in London, Manchester and Glasgow. The final walks of the day will take place in New York, Toronto and Chicago where 1,700 people are expected to turn up in support of Pieta House. In celebration of the theme ‘connecting’ for this year’s Darkness into Light walk, Dublin Bus provided a free shuttle service connecting Heuston Station to the flagship walk in Phoenix Park in the early hours of Saturday morning. Elsewhere around Ireland, local businesses showed their support by opening early and providing weary walkers with complimentary teas, coffees and refreshments. Jim Dollard, executive director of Electric Ireland which supported this year’s walks, congratulated all participants around the globe, thanking them for their support. Pieta House is a suicide and self-harm crisis organisation and works with ten centres across the State. Pieta House is set to open its first overseas centre in Queens, New York this summer as it begins to reach out to members of the Irish diaspora who may be in need of support. 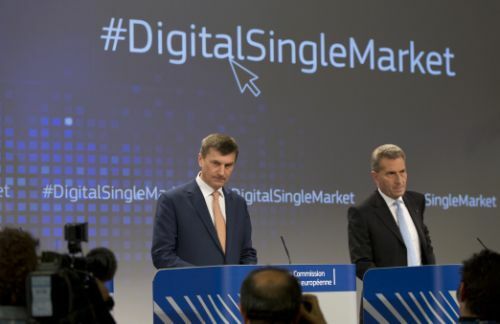 Europe has launched its strategy for a Digital Single Market throughout its member countries. The success of this strategy relies on the ability of European lawmakers and politicians removing barriers to digital trade and creating an environment to foster the growth in digital platforms and skills necessary to support a fast growing digital economy. It is easy for others, especially the US, to see the Digital Single Market strategy as a pretext to regulate and restrict the popularity and pervasiveness of foreign companies like Google, Amazon, Facebook and Netflix. Certainly, the European Commission will need to demonstrate that its focus is more on enabling rather than simply protecting a future industry. However, one of the central “pillars” of the strategy is to remove barriers to international online trade. This means removing the practice of “geo-blocking” which restricts content to certain countries, or places extra costs on those accessing these services from outside those boundaries. Achieving this will require a levelling between countries of their different regimes of value added tax, laws for consumer protection and copyright, and a host of other legislative and commercial idiosyncrasies. Setting aside the hurdles of the Digital Single Market outlined in the agenda document, the largest real challenge is in the fact that 54% of e-commerce traffic in Europe is with services based in the US whereas only 4% of traffic in one European country is for a service in another European country. Creating a Digital Single Market is all well and good but if it mainly benefits US companies it is going to be far less strategic for Europe. In the light of the dominance of US services in Europe, the fear held by the US that Europe’s Digital Single Market will essentially try and restrict this dominance are possibly not unfounded. The simple fact is that those firms succeed because that is what European consumers want. Making it simpler for those services to operate in Europe still has advantages to the EU because it enables firms like Amazon and Apple to operate more seamlessly across all of Europe, helping to keep costs down. To truly benefit from the efficiencies of opening up the digital markets in Europe, what actually needs to happen is to apply this strategy globally. All of the points made within the Digital Single Market strategy are valid steps to removing barriers to online trade. The limitation of the strategy is that it stops at Europe’s borders, when the Internet that underpins the online world recognises no such boundary. For a global Digital Single Market to be successful, in addition to the goals outlined in Europe’s strategy, there would need to be agreement on tax avoidance schemes that US companies in particular are carrying out when doing business globally. Ironically, these practices operate in Europe by leveraging different transfer pricing schemes between parts of their company set up in different countries. Allowing foreign multi-nationals to dominate in a local market is one thing but it adds insult to injury that tax revenue from business carried out in one particular country could be lost to another, or not collected at all. Of course, the main aim of the European Commission in proposing the Digital Single Market agenda is to provide a platform that is conducive to surfacing digital entrepreneurs and growing new companies based in Europe. The entire world outside of Silicon Valley wants to emulate the success of that area by creating innovation centers that foster startups and the next Google or Uber. The trouble is that despite cities around the world trying to do this, they have so-far largely failed to bring together the ingredients that exist in California. At the heart of this though, it may simply be a case of not enough money being invested in seeding startups. Startups in London, which is considered the most successful of European startup locations, still only attract 6% of the funding amounts that startups in Silicon Valley do. In the normal tech company life-cycle, successful companies produce a large number of wealthy individuals who not only have a specific set of skills in creating tech startups but have the money to invest either in their own projects or others. The conditions for this were driven by the opportunities created by stock markets and the insatiable appetite for tech stocks. Reproducing this elsewhere, is going to take time, money, an appetite for risk and the acceptance of failure. Unfortunately, none of that is part of the European Digital Single Market strategy. Whilst the aims of their agenda may be a good start, even if successful, it is still a long way from actually seeing any benefits result from it. Chef Adrian Martin is pictured on the left with Ethne Reynolds, Stephen Schmidt and championships organiser Brid Torrades at the World Irish Stew Championship, St Angela’s College, Co Sligo. Adrian Martin, Associated Craft Butchers of Ireland ambassador, plans to break a world-record in association with the Irish Coeliac Society by making the world’s largest gluten free potato pancake. The ambassador of the Associated Craft Butchers of Ireland, chef Adrian Martin, who has trained and worked under chef Neven Maguire for six years, is planning to make the world’s largest gluten-free potato pancake at an event held in Smithfield in Dublin on Monday, 11 May. The event is being held to mark the beginning of Coeliac Awareness Week, organised by the Coeliac Society of Ireland. Chef Adrian is planning to break a world record at the event at Smithfield, which is open to the public from 10.30 am on Monday morning. Sonya Shiels from the Coeliac Society of Ireland said the pancake, if it is to break the world-record, will measure a metre and a half and will help raise the profile of the rest of the week’s events. These events include a series of cookery demonstrations held in certified craft butchers in Dublin, Kilkenny, Cork, Limerick and Galway where chef Adrian will cook gluten free recipes involving meat. Adrian, 23, has been the Craft Butchers of Ireland ambassador for the past two years and said he is “hopeful” about breaking the world record on Monday. “I’ve never baked one of that size before obviously, so I’m going to have a practice run on the Sunday in my own kitchen to see how it goes,” he said. 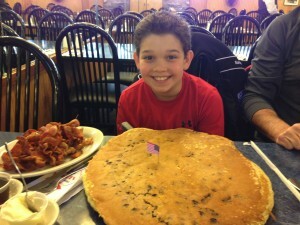 If the pancake is made to the specified world-record breaking requirements of five feet, Adrian says it will be able to feed between 150 and 200 mouths. “So if you know anyone who wants to try a gluten-free potato pancake, send them down here on Monday,” he said. Coeliac Awareness Week is being promoted by the Coeliac Society of Ireland nationwide from 11 to 17 May. In particular the society wishes to encourage anyone who thinks they may be affected by coeliac disease to contact their GP. Commenting in advance of Coeliac Awareness Week, Gráinne Denning, CEO of the Coeliac Society of Ireland, said, “When people are diagnosed with coeliac disease, they may feel overwhelmed. We’re encouraging people with coeliac disease to come along to the events we have organised during Awareness Week to meet the wider gluten-free community, learn some new recipes, and enjoy healthy walks and delicious food. The auto-immune disease is estimated to affect 46,000 people in Ireland and it can manifest itself at any stage in a person’s lifetime. The only treatment for the disease is a gluten-free diet. NASA’s Curiosity Mars rover used its Mascam (Mast Camera) to record the sun dipping to the horizon in a blue-tinged sky. The spectacular images, that were captured on 15 April, 2015, were sent home to Earth this week. The photographs were taken between dust storms, but some dust was still floating high in the red planet’s atmosphere. Scientists say the sunset observations help them assess the vertical distribution of dust in the atmosphere. Mastcam sees colors very similarly to what our eyes do, although it is actually slightly less sensitive to blue than humans are. Just as with sunsets on Earth, when reddish colours are made more dramatic, on the red planet sunsets make the blue near the Sun’s part of the sky stand out much more, while normal daylight makes the dust’s rusty colour more prominent. The Mars Curiosity Rover has been studying the planet’s ancient and modern environments since it landed inside the Gale Crater in August 2012. Curiosity’s Mastcam was built and is operated by Malin Space Science Systems, San Diego, California. 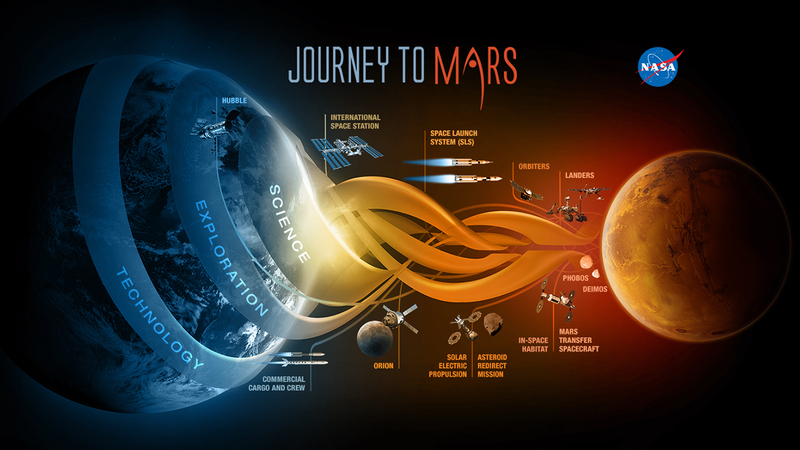 NASA”s Jet Propulsion Laboratory, a division of Caltech (California Institute of Technology) in Pasadena, built the rover and manages the project for NASA’s Science Mission Directorate in Washington. 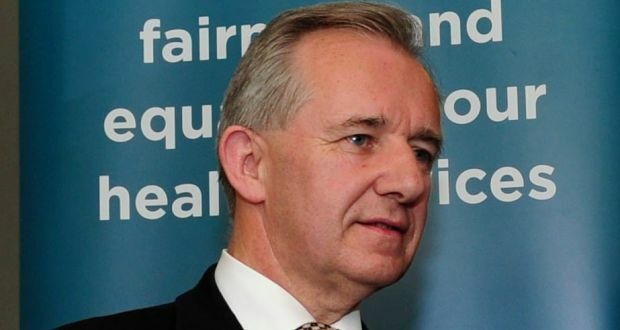 Ray MacSharry is one of five former politicians named in the Dáil by Sinn Féin TD Mary Lou McDonald as having been in a dossier of alleged offshore account holders. All five have rejected the claims. 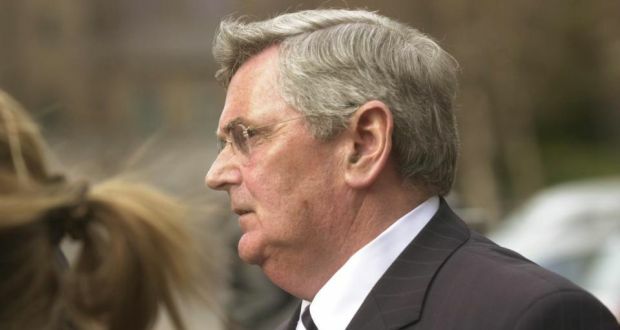 Former Fianna Fáil finance minister Ray MacSharry’s lawyers have written to the Public Accounts Committee (PAC) seeking the so-called Ansbacher dossier in which he is named. Mr MacSharry is one of five former politicians named in the Dáil by Sinn Féin TD Mary Lou McDonald as having been in a dossier of alleged offshore account holders. All five have rejected the claims. Contacted by The Irish Times this morning, Mr MacSharry said: “My lawyers are dealing with matters”. The law firm Arthur Cox, acting for Mr MacSharry, has written to the PAC requesting access to papers given to individual members of the committee. However, it is understood that the Ansbacher dossier is not considered to be a committee document and therefore the committee is expected to respond that it is not in a position to hand over the dossier. He said he would be consulting his legal representatives to see what recourse he has, both against Gerry Ryan, the whistleblower who submitted the dossier about tax evasion to the Dáil Committee on Public Accounts, and Ms McDonald. Ms McDonald last Wednesday also named under privilege on the Dáil record former PD leader Des O’Malley, former Fianna Fáil politicians Máire Geoghegan-Quinn and Gerard Collins, an ‘S Barrett’, assumed to be former Fianna Fáil TD Sylvie Barrett, and former Fine Gael minister Richie Ryan. Mr MacSharry’s tough persona while overseeing public spending cuts while Charles Haughey’s minister for finance in the late 1980s earned Ray MacSharry the title “Mack the Knife”. He became an MEP in 1984, before returning as a TD and minister for finance in 1987 in another Haughey-led government and he was appointed Ireland’s European commissioner in 1988. A new report commissioned by the Irish Hospice Foundation (IHF) has found that the chances of dying at home or in hospital are dictated by where you live in Ireland, with those in Donegal nearly twice as likely to die at home than those living in Dublin. Launched last week (December 4) by Senator Prof John Crown, the report — ‘Enabling More People to Die at Home; Making the Case for Quality Indicators as Drivers for Change on Place of Care and Place of Death in Ireland’ — sets out the case for key quality indicators on place of care and death, and calls for health policy to focus on providing more care in the home and in communities. 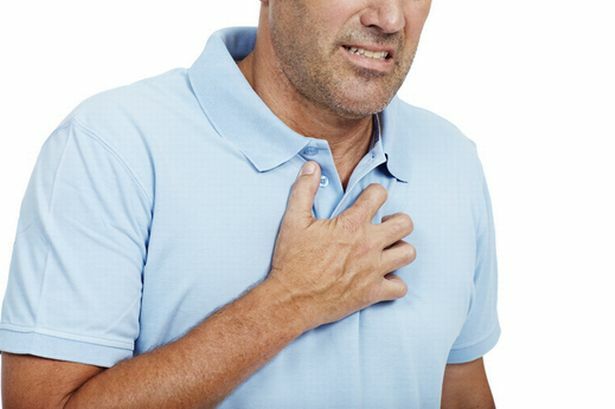 Supported by a paper written by social and economic research consultant Dr Kieran McKeown, the report draws on data published by the CSO that shows people living in Donegal are more likely to die at home (34 per cent), followed by Kilkenny and Kerry (33 per cent), Mayo (32 per cent), and Leitrim and Wexford (31 per cent). 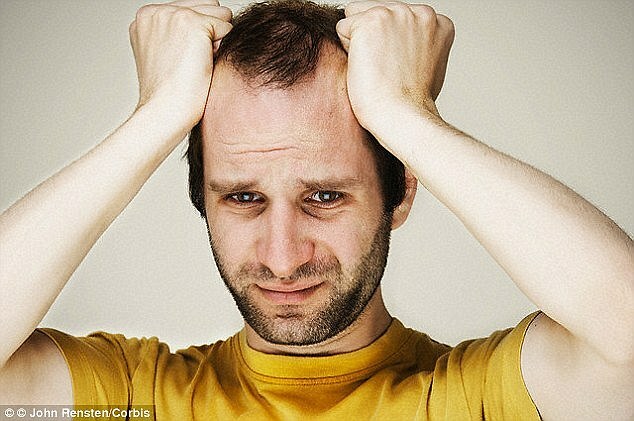 Despite findings of a recent national survey showing that 74 per cent of Irish people want to die at home, only 18 per cent of people in Dublin do so, followed next by Sligo (26 per cent), and Roscommon and Galway (26 per cent — the national average). 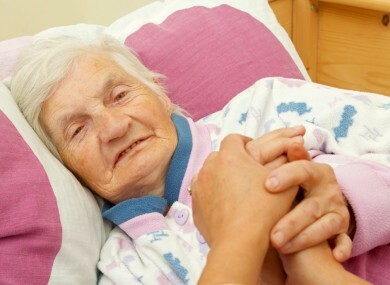 The report finds that areas with no hospice that deliver specialist palliative care services through home care teams — including the South East, the Midlands and the North East — have a higher proportion of deaths in the usual place of residence (home or long-stay places of care) compared to areas with a hospice. She added: “The IHF believes that enabling people to fulfil their wish to die at home is not just a matter of effective health services and flexible, responsive, people-centred systems. 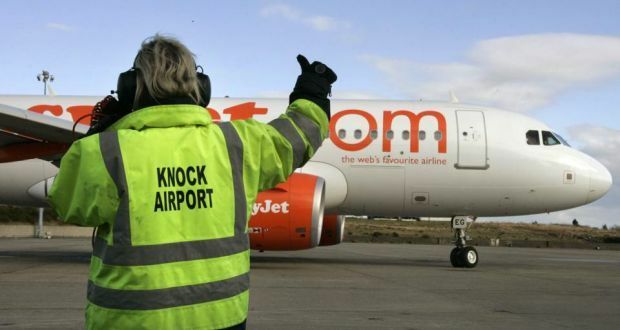 More than €2 million in funding is to be given to regional airports to compensate them for costs incurred in providing core services that cannot be fully recovered. The approved funding brings the total financial support by the Exchequer under the Regional Airports Programme to just under €13 million in 2014. 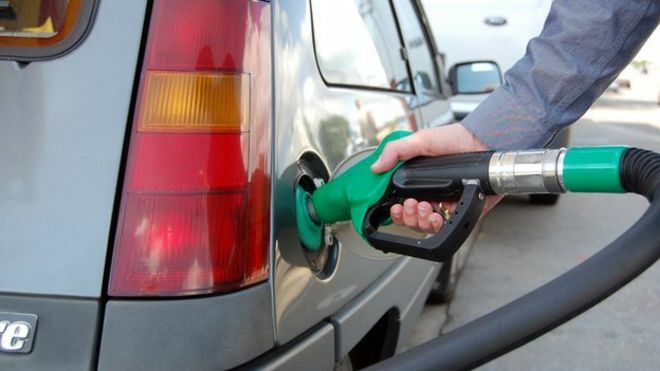 Minister for Transport Paschal Donohoe said the funding is to cover so-called “subventible losses,” that is costs for services that can’t be recovered from non-core income coming from activities such as restaurants, bars and parking. Under the Regional Airports Programme, which is due to end this year, financial support has been provided to Kerry, Knock,Waterford and Donegal airports under three main schemes, including the Public Service Obligation Scheme, which provides funding to airlines to operate essential services. Earlier this month, Mr Donohoe confirmed that regional air services from Donegal and Kerry to Dublin would continue to be subsided under the PSO scheme. Stobart Air, the former Aer Arran, was awarded the contracts to operate the two routes until 2017. It currently runs the Kerry to Dublin-subsidised service while Loganair operates the Donegal route. The Regional Airports Programme is due to end this year and the Government has submitted a new proposal for a replacement scheme to the EU commission for consideration. ‘The Government’s aim is to give regional airports the opportunity beyond 2014 to grow to a viable, self-sustaining position, particularly considering the contribution that they make to their regional and local economy. 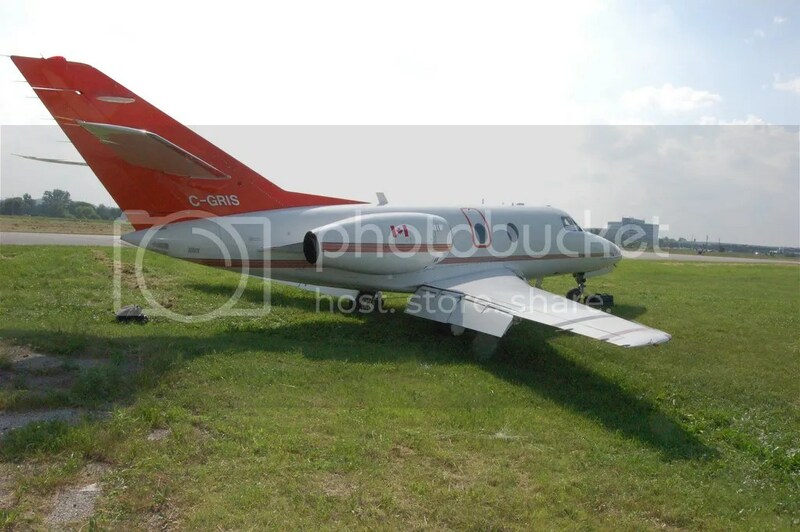 As a result, Exchequer support for the four regional airports will be continued beyond 2014,” said Mr Donohoe. “The decision to continue providing these necessary supports will facilitate the airports in developing and implementing new business plans leading to self-sufficiency within a ten year period. Central to these will be the need for regional and local business investment,” he added. A new report launched by safefood has found that Irish men’s food behaviour puts them at a disadvantage health-wise compared with women. The safefood report, Men’s Food Behaviour, gives an overview of research on men and food behaviour across the island of Ireland and illustrates the need to help change how men interact with food. The report highlights that men are generally less engaged with food both in terms of food hygiene and healthy eating. It also finds men have less healthy diets, eat more fat and salt, less fruit and vegetables, and tend to see food as fuel. Men also show greater preference for larger portions of food, are less likely to be aware of healthy eating guidelines and are less likely to regard healthy eating as an important factor influencing their long-term health. And although more men than women are overweight or obese in Ireland, they are less likely to attempt to lose weight or to monitor their diet. At present, 70% of Irish men are overweight or obese, compared with 50% of women. 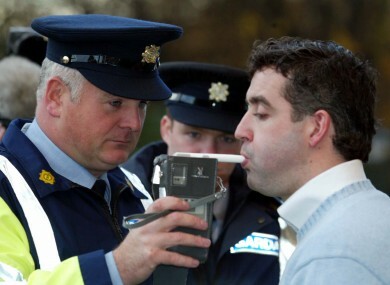 Ireland has come in 25th place in Europe for drink-driving related deaths. One in ten fatal car crashes globally are caused by alcohol, with men more likely than women to drink drive, according to a new report by Allianz. When it comes to Europe, alcohol-related fatalities are highest in eastern countries, while Italy has the lowest number. In most countries men are twice as likely to be killed in drink-driving crashes as women and Ireland is no exception. Almost 20% of fatal accidents involving men are down to alcohol consumption while the figure for women is just 8%. The chance of a male fathering offspring may not be a simple race to the egg, but is influenced by the length of the male’s sperm, say scientists from the University of Sheffield. Using a captive population of zebra finches, the researchers carried out sperm competition experiments between pairs of males, where one male consistently produced long sperm and the other male always produced short sperm. These experiments showed that more long sperm reached and fertilised the eggs compared to short sperm. The long sperm advantage was evident even when the short sperm males mated with the females first, and were effectively given a ‘head start’. The findings demonstrate that in birds, in a competitive scenario, the fertilisation success of a male can be influenced by the length of his sperm. The results also suggest that the final outcome of sperm competition may be partly dependent on the female bird. Scientists at the University allowed each pair of male zebra finches to mate with a female bird so that the long and short sperm from the males could compete to fertilise the female’s eggs. Female birds store sperm inside their bodies for many days, and this is one way that the females themselves could influence the fertilisation success of the males. 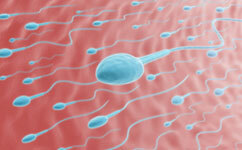 It is possible that long sperm are better at reaching and and staying inside these storage areas than short sperm. Long sperm may even be ‘preferred’ by the female, by some unknown process. Scientists believe that a better understanding of how sperm length influences fertilisation success in non-human animals such as the zebra finch may point us in new directions for investigation in human fertility research. Researchers now plan to investigate if sperm storage duration in female birds varies according to the length of the male’s sperm, and the possible mechanisms responsible for this. Finance minister Michael Noonan said GDP surged 7.7% this year to June, but is the austerity poster child repeating history? Ireland’s gross national product grew 9%, an astonishing pace for a more mature industrial state. Ireland’s economy is growing at an explosive pace not seen since the glory days of the Celtic Tiger, setting off a scramble for Dublin property. 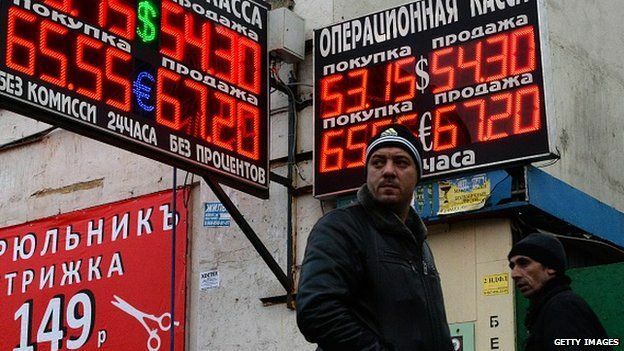 Finance minister Michael Noonan said GDP surged 7.7% in the year to June as rising exports to the US, Britain and China transform the former crisis-state into the eurozone’s star economy, reaching “escape velocity” as the rest of the currency bloc languishes in a slump. Gross national product — a better gauge of Ireland’s internal economy – grew by 9%, an astonishing pace for a mature industrial state. The turnaround comes less than a year after Ireland regained economic sovereignty, the first of the eurozone bail-out countries to emerge from its EU-IMF Troika regime. The collapse of the banking system in 2008 and the country’s €67bn (£53bn) rescue already seem like another age. The Irish treasury can now borrow for two years at an interest rate of -0.016%, lower than for Sweden, France, Britain or the US. Dublin house prices have risen 24% over the past year, though they are still far below their peak and 135,000 households are still in arrears from the last crisis. The Irish Mortgage Holders Organisation said the city is once again in the grip of an “irresponsible property bubble”. Ashoka Mody, former IMF chief in Ireland, said it was still too early to judge whether the country was out of the woods. There have been false dawns before, including a slide back into recession in 2013. “Irish GDP is very erratic. When you get a bounce-back from a deep slump it always looks impressive: that can be misleading. Investment is still down 20% since 2008 and the country has a lot of debt. 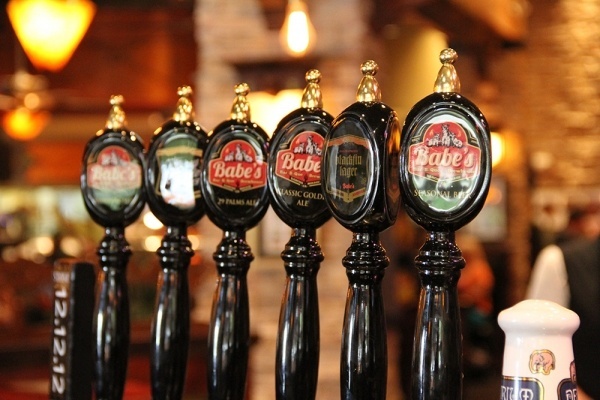 Until we see steady growth, we can’t say this is a turning point,” he said. Ireland has been held up as the poster-child of Troika austerity, an example of what can be achieved if a country takes its medicine and regains competitiveness within EMU through an “internal devaluation”. Ireland has slashed wages by roughly 20%. Yet Mr Mody said the Irish economy is unique, with an “enclave” export industry of pharmaceuticals and computer software, led by US multinationals exploiting Ireland’s 12.5% corporation tax. The country has a high trade gearing, with an export to GDP ratio of 108%, compared with 40% for Portugal, 34% for Spain, 30% for Italy and 29pc for Greece. This makes it much easier for Ireland to trade its way out of trouble. “The idea that this could be replicated in a country like Portugal is far-fetched,” Mr Mody said. Irish exports rose 12% over the past year at a time when world trade was almost flat. “Exports of dairy products and baby food to China are soaring. But the high-value goods to the US are also doing very well,” said Simon McKeever, head of the Irish Exporters Association. Ireland’s biggest exporters are Google (€17bn), Microsoft (€15bn) and Johnson and Johnson (€10.5bn). Pfizer (€5bn) supplies half the world’s patented Viagra from plants near Cork. These sectors are the fruit of an industrial strategy dating back to the 1990s that turned Ireland into an aircraft carrier for US companies. This has been a success but it is unclear how much benefit stays in Ireland, creating a split economy that has left large numbers on the margins. Unemployment is still 11.2pc despite mass emigration. Investment has stopped falling but only after touching the lowest level in Irish history last year as a share of GDP. Credit is contracting. Ireland’s public debt has rocketed to 124pc of GDP from 25% in 2007, partly due to the toxic effects of prolonged recession, and partly the result of a taxpayer rescue for Anglo Irish Bank and four other lenders in the white heat of the financial crisis. This was done under intense pressure from the European Central Bank, worried that a collapse of Ireland’s €800bn banking nexus would set off unstoppable contagion. The IMF expects the debt ratio to drop to 111pc by 2018, yet warns that the debt trajectory is still on a knife-edge and could be blown off by any fresh shock or banking woes. Megan Greene, from Trinity College Dublin, said it was far from clear Ireland had really sorted out its problems. “There has been a lot of austerity but very little structure reform. They are still relying on the same old sectors. We have a housing market that is absolutely booming, and people are spending because they are feeling wealthier again,” she said. The risk is that Ireland lurches back into another property cycle with interest rates stuck at zero, set for the needs of core-EMU. This is starting to look like a carbon-copy of what went wrong a decade ago when Ireland was growing much faster than Europe, forced to import a monetary policy that was far too loose. “There is a risk that we could be seeing a repeat of history,” she said. Permanent TSB has reported a 21% decline in mortgage arrears of over 90 days since the start of the year. The State-owned lender said 25,000 borrowers had now been offered restructuring arrangements through its asset management unit (AMU). The unit was set up in 2012 to tackle the high number of problem mortgage accounts left on its books in the wake of the crash. The bank’s figures show there were 4,357 fewer home-loan customers in arrears of over 90 days at the end of August than at the beginning of the year – a fall of 21 per cent. The unit received 27,500 completed Standard Financial Statements (SFSs) from customers between January and the end of August this year. About 300 completed SFSs were now being received each week, down from highs of 600 to 700, the bank said. On average the AMU proposes a solution to customers within just 10 days of receipt of completed statements, it said. Shane O’Sullivan, managing director of the AMU, said that split mortgage arrangements – where part of the loan is put aside for a fixed term – accounted for 26 per cent of the proposed solutions. “We charge 0 per cent interest on the warehoused section of the mortgage and we review a customer’s circumstances – typically every three years – with a view to ultimately eliminating the warehoused amount,” Mr O’Sullivan said. The bank’s half-year accounts, published last month, show it wrote off €73 million in Irish residential mortgage loans in the first six months of this year. This was almost seven times the level of write-off in the same period of last year. The West/North West Hospital Group has said some patients have experienced ‘difficulties’ attending the emergency department at UHG despite the efforts of staff and management. 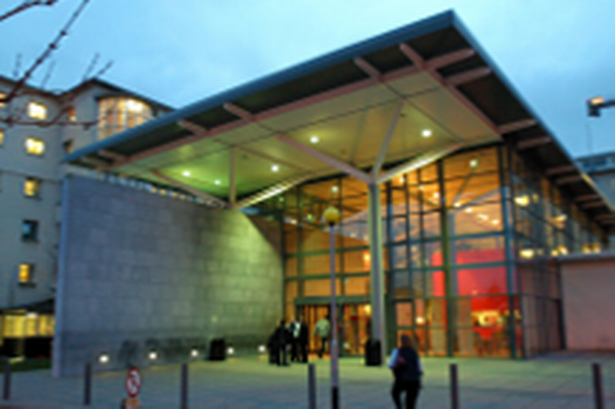 University Hospital Galway has admitted a lack of privacy and dignity for some patients attending its emergency department. The West/North West Hospital Group, which includes UHG, says some patients have experienced “difficulties” attending the emergency department despite the efforts of staff and management. 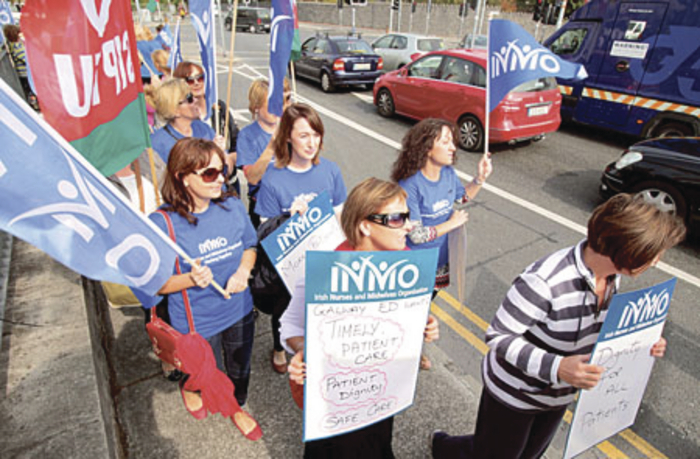 The group was responding to criticisms of conditions made by nurses who are today staging a lunchtime protest to highlight overcrowding in the department. 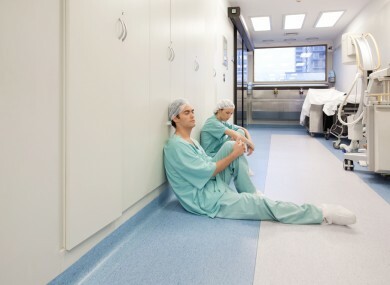 The Irish Nurses and Midwives Organisation says patients are being deprived of care with dignity because of the overcrowding and the use of corridors in which to treat them. In its statement, the hospital group says the build-up of patients in the department is linked to bed availability throughout the hospital. It says there is a commitment from community services to source more beds in the community so that hospital beds currently filled by long-term care patients can be freed up. 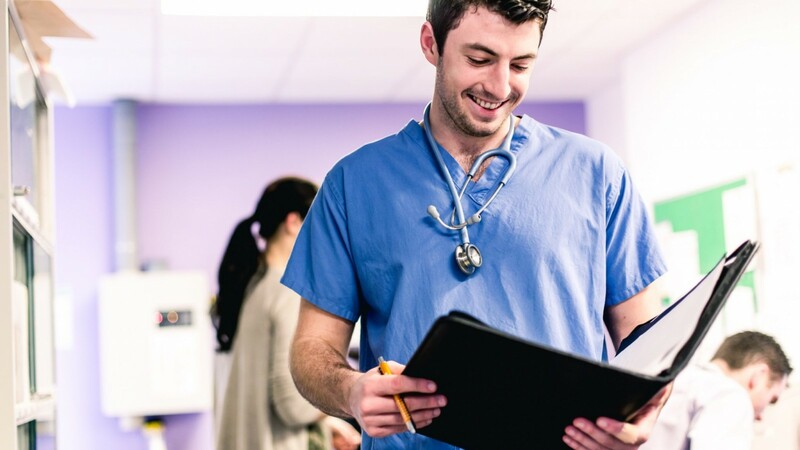 “The nursing staff shortage in the ED is being addressed and the applications of 11 new nursing staff are being processed at the moment and nine more job offers have been made. “We also expect to shortly commence recruitment of four new paediatric nurses,” according to the statement. Stress management support is being provided to nursing staff, the hospital says, adding that the emergency department building needs to be updated and an application for capital funding is being made. Today’s protest is being supported by the INMO and Siptu. It is not expected to lead to any disruption of services. IMO president Professor Trevor Duffy: said professionals in the health services now believe the situation is at a critical point. 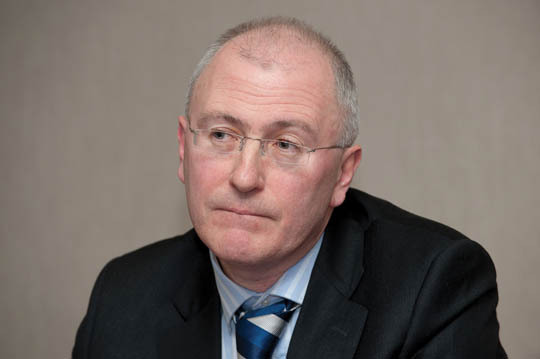 Patient safety is being compromised across the health services as a result of successive budgetary cuts in recent years, the Irish Medical Organisation has warned. Professionals in the health services now believe the situation is at a critical point, according to IMO president Professor Trevor Duffy. “I think everyone in health has watched with frustration in recent months at how the debate on the health budget is seen almost like a spectator sport by the political class when it is actually a matter of life or death for many people in the system,” Prof Duffy said at the launch of the organisation’s pre-Budget submission. The IMO says the Government must take five steps to protect patient safety, starting with an increase in funding and staffing across all sectors. It must ensure any cost containment measures are rigorously assessed against risk to patient safety before commencement. The union also wants GP care to be introduced based on income levels and medical need, together with chronic disease care packages. Co-payment models such as the €2.50 prescription charge should be abandoned because they are “proven to be detrimental to long-term health and disproportionately affect the most vulnerable in society”. Agriculture originated in the Near East – in modern Syria, Iraq and Israel – before expanding into Europe around 7,500 years ago. Multiple lines of evidence suggested this new way of life was spread by a wave of migrants, who interbred with the indigenous European hunter-gatherers they encountered on the way. But assumptions about European origins were based largely on the genetic patterns of living people. The science of analysing genomic DNA from ancient bones has put some of the prevailing theories to the test, throwing up a few surprises. Genomic DNA contains the biochemical instructions for building a human, and resides within the nuclei of our cells. In the new paper, Prof David Reich from the Harvard Medical School and colleagues studied the genomes of seven hunter-gatherers from Scandinavia, one hunter whose remains were found in a cave in Luxembourg and an early farmer from Stuttgart, Germany. The hunters arrived in Europe thousands of years before the advent of agriculture, hunkered down in southern refuges during the Ice Age and then expanded during a period called the Mesolithic, after the ice sheets had retreated from central and northern Europe. Their genetic profile is not a good match for any modern group of people, suggesting they were caught up in the farming wave of advance. However, their genes live on in modern Europeans, to a greater extent in the north-east than in the south. The early farmer genome showed a completely different pattern, however. Her genetic profile was a good match for modern people in Sardinia, and was rather different from the indigenous hunters. But, puzzlingly, while the early farmers share genetic similarities with Near Eastern people at a global level, they are significantly different in other ways. Prof Reich suggests that more recent migrations in the farmers’ “homeland” may have diluted their genetic signal in that region today. Prof Reich explained: “The only way we’ll be able to prove this is by getting ancient DNA samples along the potential trail from the Near East to Europe… and seeing if they genetically match these predictions or if they’re different. Pigmentation genes carried by the hunters and farmers showed that, while the dark hair, brown eyes and pale skin of the early farmer would look familiar to us, the hunter-gatherers would stand out if we saw them on a street today. “It really does look like the indigenous West European hunter gatherers had this striking combination of dark skin and blue eyes that doesn’t exist any more,” Prof Reich told BBC News. So where did fair pigmentation in present-day Europeans come from? The farmer seems to be on her way there, carrying a gene variant for light skin that’s still around today. “There’s an evolutionary argument about this – that light skin in Europe is biologically advantageous for people who farm, because you need to make vitamin D,” said David Reich. When the researchers looked at DNA from 2,345 present day people, they found that a third population was needed to capture the genetic complexity of modern Europeans. This additional “tribe” is the most enigmatic and, surprisingly, is related to Native Americans. Hints of this group surfaced in an analysis of European genomes two years ago. Dubbed Ancient North Eurasians, this group remained a “ghost population” until 2013, when scientists published the genome of a 24,000-year-old boy buried near Lake Baikal in Siberia. This individual had genetic similarities to both Europeans and indigenous Americans, suggesting he was part of a population that contributed to movements into the New World 15,000 years ago and Europe at a later date. The ancient hunter from Luxembourg and the farmer from Germany show no signs of mixture from this population, implying this third ancestor was added to the continental mix after farming was already established in Europe. The study also revealed that the early farmers and their European descendants can trace a large part of their ancestry to a previously unknown, even older lineage called Basal Eurasians. This group represents the earliest known population divergence among the humans who left Africa 60,000 years ago. The IMO says it’s “appalled” at some of the proposals. 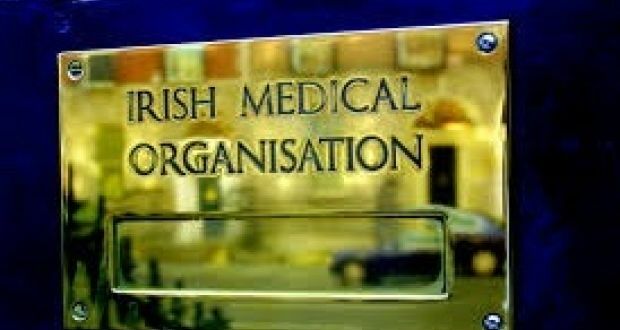 The Irish Medical organisation has said it’s “appalled” at some details of legislation for the new GP Contract. Legislative proposals were published today by the Department of Health with the aim of overhauling the contractual relationship between GPs and the HSE. The IMO said the proposals in the Health Bill 2014 would effectively force GPs to sign up to a new under sixes contract by removing existing medical card patients to the new scheme. Chairman of the GP Committee of the IMO, Doctor Ray Walley, said “this legislation has nothing to do with GP visit cards for children. It is nothing less than a unilateral attempt to replace the long-standing GMS Contract with a new, draconian contract which will destroy the very fabric of the GP service in Ireland. Dr. Walley said that the new legislation would accelerate the departure of GPs from the Irish Health Services. This legislation will effectively destroy General Practice and should not be enacted. It reflects an arrogant mindset by an arrogant Government that should know better. 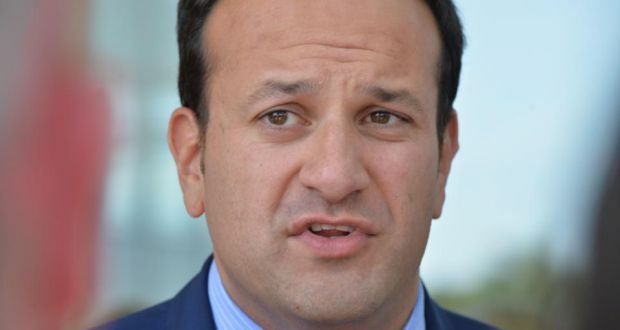 The IMO says the new contract as proposed would institutionalise the provisions of emergency legislation (FEMPI) in regard to GPs, allowing the Minister to unilaterally reduce, vary and change fees paid for GP services at any time. The union claims it would force GPs to move to the new contract by removing existing GMS patients to the new scheme. On the one hand the Minister says he wants to talk to the IMO while on the other publishes legislation that appears to make talks a futile exercise. The issue of free under-six care is set to dominate the IMO conference that will be held this coming weekend in Kildare. The Minister for Health James Reilly will not be at this years event but the Minister of State with responsibility for Primary Care Alex White will be attending. Childhood vaccinations are at the highest level ever recorded in Ireland. New figures issued by the HSE Health Protection Surveillance Centre to mark European Immunisation Week show that more children here are now vaccinated that ever before. Altogether 92pc of children at 12 months have had the recommended three doses of the six in one vaccine which defends against diphtheria, tetanus, whooping cough, Hib (haemophilius influenza causing meningitis) polio and hepatitis B. A similar number have been given two doses of the PCV (pneumococcal conjugate vaccine) against 13 common strains of a bug that cause meningitis and septicaemia. By two years of age 96pc of children are vaccinated with the six in one vaccine and 93pc of children have also had the MMR vaccine. By between four and five years of age 90pc of children have received the recommended four in one vaccine booster dose for diphtheria, tetanus, pertussis and polio and 89pc have received an MMR second dose. Public Health Medicine specialist with the HPSC, Dr Suzanne Cotter welcomed the high level of vaccination. Dr Cotter added that some children, teenagers and adults might still be vulnerable to these diseases because they were never vaccinated, incompletely vaccinated or had lost their immunity because of age, illness or the lapse in time since the injections. “The fact that more children in Ireland are now protected against vaccine preventable diseases than ever before reflects the confidence parents have in vaccination to prevent what used to be the most common infectious diseases of childhood,” she stressed. Dr Cotter also emphasised the need to identify areas where “there are inadequate levels of vaccination uptake, indicating an increased risk among some to these diseases and outbreaks. “Reasons for under vaccination should be identified and any measures identified should be taken to address the underlying reasons,” she said. 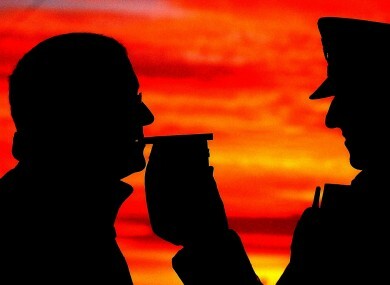 Gardaí said today 153 people were arrested for drink driving over the Easter Bank Holiday weekend. 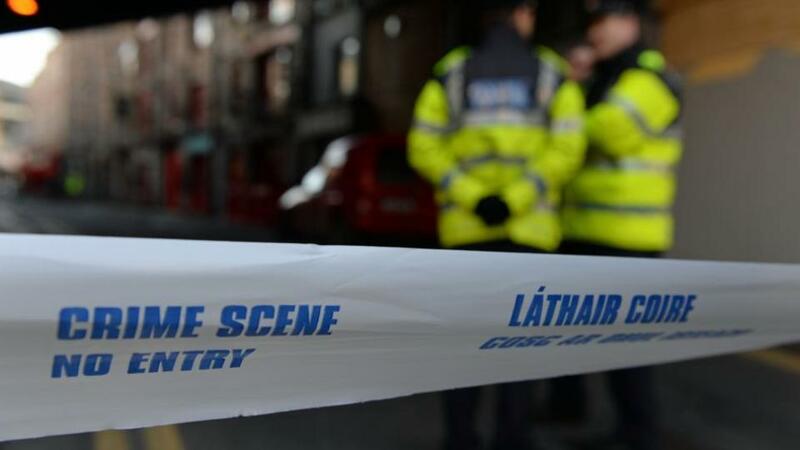 Assistant Garda Commissioner John Twomey said 26 people were arrested on Good Friday, a day when “the vast majority of licensed premises are closed”. Mr Twomey of the Garda National Traffic Bureau also outlined a recent drink driving enforcement operation which targeted ten rural towns and two areas within Dublin city where gardaí set up a series of mandatory alcohol checkpoints. “We advertised it in advance to let people know we would be doing it. While we didn’t give them the specific locations, we did say that we would be out there targeting particular areas,” he said. The Assistant Commissioner also spoke about the upcoming special operation this week which will target motorists using mobile phones while driving. “The risk and the dangers posed by holding and using a mobile phone while driving are such that you put yourself and others at risk,” he said, adding that research shows there is a four-fold increase in the risk of having a collision when using a mobile phone. “Unfortunately, the use of mobile phone while driving is becoming a real challenge to An Garda Síochána and is now the second-highest offence that has been detected.” The highest is speeding. Almost 10,000 drivers have been detected holding a mobile phone while driving in the first three months of this year. In 2013 there were more than 28,000 people detected. Provisional figures from a national phone operation carried out in March 2014 found there has been a 300 per cent increase in the number of people using their phones while driving. 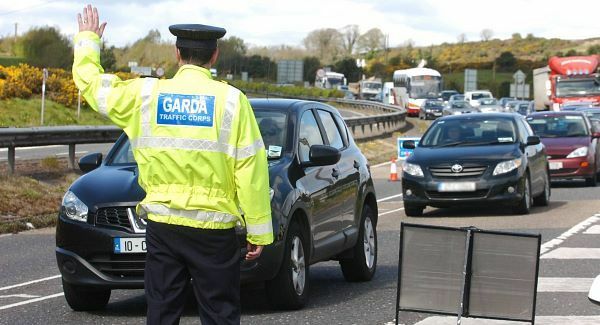 This week’s operation, which will be conducted by gardaí this Thursday and Friday, will issue fixed charge notices of €60 and penalty points to those caught on their phones while driving. “Our message is there’s no call or no text that is that important that you should put your own life or the life of other road users at risk,” said Mr Twomey. “I’m asking all of your listeners to be aware of the dangers and the risks,” he added. 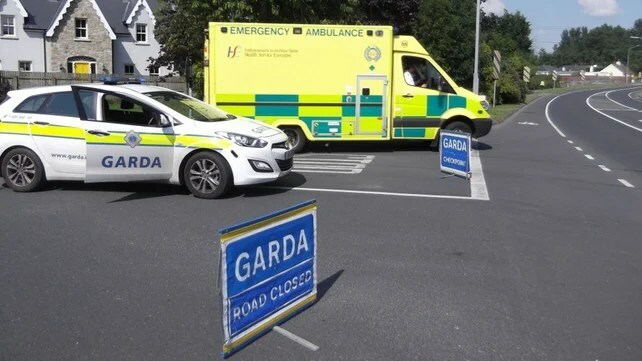 “We will be out there enforcing the road traffic act and will continue to work tirelessly to improve road safety,” he told RTÉ’s Morning Ireland. Europe’s resistance to genetically modified organisms (GMOs) is holding farmers back, according to the IFA. Irish farmers must be able to compete on a level playing field and the current EU stance on GMOs does not allow that, IFA General Secretary Pat Smith has said. “It has to be a level playing field in relation to GMOs and hormones. These issues are stifling EU agriculture and our hands are tied. It is costing EU agriculture all the time.” He was speaking at the launch of the IFA’s manifesto for local and european elections. 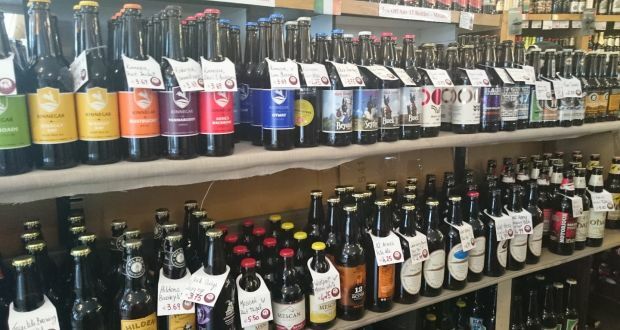 “We are five to 10 years out of date with regard to licensing, as what Europe is legislated to import is not being grown any more.” He said this means EU importers have to choose varieties that are less efficient but are approved by Europe. Countries which have adopted technologies such as GMOs, he said, have seen gains of 2-3% in their agricultural output in the past 10 years. He went on to say that Irish farmers are the most efficient producers of food in Europe, yet will have to increase their production levels to meet increasing demand for food. There is also a shortage of protein in Europe, he said, so farmers have to import soybeans which is an issue because of the GMO regulations in Europe. Sourcing non-GMO soybeans, he said, is becoming more and more difficult as less people are growing less of these varieties as they make less economical sense than GM varieties of soybean. The routes map of Illicit cigarettes that arrive in Ireland on planes and trucks from various countries. 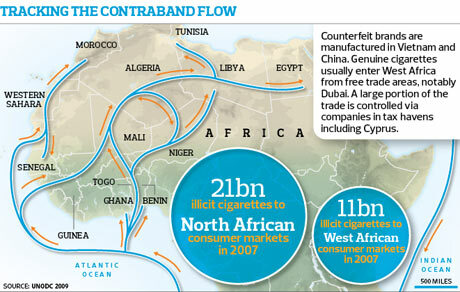 This map shows the major tobacco smuggling routes into Ireland and reveals that cigarettes made in Asia and Africa generally come into the country by sea. However, from mainland Europe the illicit products mostly arrive here on planes and trucks. It is a trade that costs Irish retailers €450m a year. Ireland has one of the highest rates of illegal tobacco trade in Europe, and 25pc of cigarettes smoked here are not taxed, according to figures released by major tobacco manufacturing company JTI. From the Baltic countries, Russia and Spain, illegal tobacco is arriving by plane. GANGSTERS: It comes in cargo ships from the Suez Canal and the Canary Islands, while smugglers from mainland Europe favour the main motorways before travelling by ship to the UK and again by sea to Ireland. Sources say a small number of Irish criminals have made millions of euro from the smuggling of illegal cigarettes into the country. One of the most prominent Irish gangsters involved in this activity is a veteran Ballyfermot criminal who controls illegal smuggling of cigarettes into Ireland in an operation that is believed to be worth over €10m. He is now mostly based on Spain’s Costa del Sol, and his son plays an increasingly prominent role in the business. The gangster – a long-term target of the Criminal Assets Bureau – has made millions from smuggling illegal cigarettes over the past two decades. He cannot be named here for legal reasons. “We are committed to fighting this highly damaging and unregulated trade. This is costing retailers and the taxpayer hundreds of millions, and continues to fuel crime in communities across Ireland,” said John Freda, general manager of JTI Ireland. CHILDREN: “The illegal tobacco trade has huge societal impacts. Criminals and gangs use children to sell products and channel the profits into other illegal activities. The JTI report claimed non-duty-paid tobacco is costing the exchequer more than €250m and the retail trade €450m a year. Common bacteria found in soil and water “talk” to each other using a language in some ways as sophisticated as our own, say scientists. The bugs display a level of “combinatorial” communication previously thought to be unique to humans and certain other primates. It involves using two signals together to transmit a message that is distinct from them both. A human example would be the word “boathouse” which does not invoke separate independent thoughts of a “boat” and a “house”, but something different – a boathouse. This type of communication has never been observed before in species other than humans and their closest relatives. Yet the lowly microbe Psuedomonas aeruginosa appears to be capable of it, using chemicals instead of words. The bugs exchange dual chemical messages to signal when to produce certain proteins vital for their survival. By blocking one signal and then the other, scientists found that if the signals are sent separately, the effect on protein production is different from when both are sent together. Lead researcher Thom Scott-Phillips, from the University of Durham, said: “We conducted an experiment on bacterial communication, and found that they communicate in a way that was previously thought to be unique to humans and perhaps some other primates. An animal study revealed that brain size plays a major role in displaying self-control and self-restraint, according to a team of University researchers. This study, conducted on 36 species of mammals ranging from orangutans to zebra finches, is the first large-scale investigation into the evolution of self-control. Study authors found that chimpanzees had more self-control than foxes and squirrels. They also found that brain size has a lot to do with the level of self-control these animals displayed. The researchers noted that species with larger brain volume had more superior cognitive powers than species with larger body size. Additionally, species that were not particular about what they included in their diet showed better self-restraint. 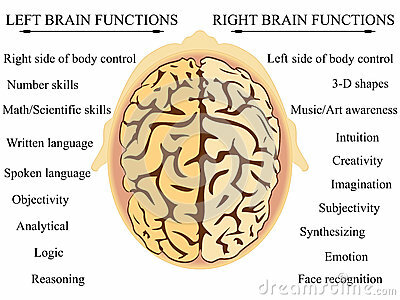 Findings of the new study debunk previous statements that suggest “relative” brain size is a more accurate predictor of intelligence than “absolute” brain size. Species included in the study were bonobos, chimpanzees, gorillas, olive baboons, stump-tailed macaques, golden snub-nosed monkeys, brown, red-bellied and aye-aye lemurs, coyotes, dogs, gray wolves, Asian elephants, domestic pigeons, orange-winged amazons, Eurasian jays, western scrub jay, zebra finches and swamp sparrows. One experiment included training big and small creatures to access food inside a cylinder through a side entrance. In the first part of the experiment, researchers placed food items in an opaque cylinder and trained the creatures to gain access to the food by entering the cylinder through a side entrance. Once the creatures grew familiar with how to enter the cylinder, the food was moved to a transparent cylinder. Researchers wanted to observe whether the animals would directly dash into the cylinder to grab the food or will use the previously learnt technique to enter the cylinder and eat the food. The results showed that gorillas and other large-brained animals utilized the previously learnt technique to attain the “bait.” The smaller brained animals showed mixed results. Another test included placing three cups (A, B and C) in a row with food in one of the cups (usually cup A). At first the animals were allowed to see which cup the food was placed in. After a while the cups were turned upside-down and the animals were made to identify which cup contained the food. If an animal could tap the correct cup three times, it proceeded to the next round. In the next round, the food was moved from cup A to cup B. Researchers said that this experiment also delivers a useful message to humans too recommending people should stop and think for a while before making any decisions or snatching a reward.